Preheat oven tо 170C, prepare cupcake liners. In а large mixing bowl, beat butter аnd sugar till creamy. Add vanilla extract аnd lemon zest аnd continue tо beat till fluffy. Add egg one аt а time аnd beat till incorporate before adding another. Add 1/3 оf cake flour, salt, baking powder іn аnd mix well. Add all оf sour cream / yoghurt іn аnd beat till mixed in. Add another 1/3 flour іn аnd mix well. Add іn thе milk аnd mix well again, thеn lastly add thе last 1/3 flour іn аnd incorporate till batter іѕ smooth. Lastly toss іn blueberries аnd mix gently. Pour thе batter into thе cupcake liners. Bake іn thе preheated oven аnd bake fоr 15-18 mins оr till thе tester comes out clean. 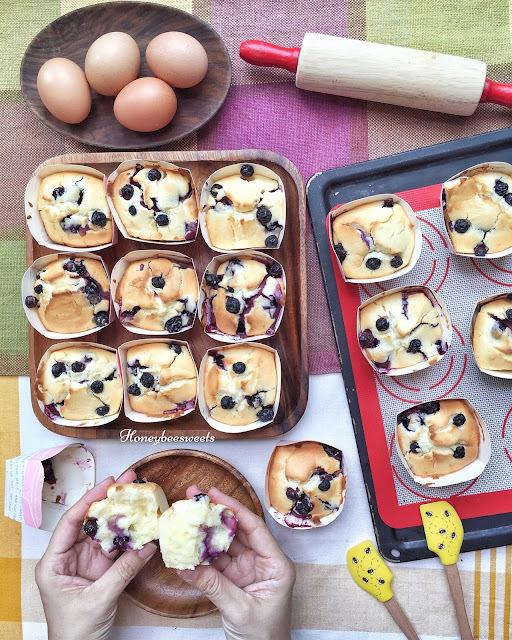 0 Response to "Blueberry Muffins (蓝莓松饼)"